Just minutes off of scenic, Louisiana Highway 191 is home to the 19th Annual Texas Oilmen’s Bass Invitational. Fishermen converge near and far each year to share their talents, skills and resources to raise funds for the Texas Children’s Hospital’s Renal Unit. 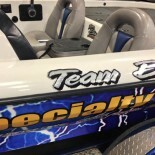 The annual bass tournament takes place on the breath taking lakes of Louisiana’s Cypress Bend, nestled among 114 acres of forested land and miles of shoreline located at Toledo Bend which stretches over the border of Louisiana and Texas. 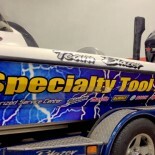 One of this year’s participants is avid fisherman Royd Picard of Specialty Tool Repair out of New Iberia, Louisiana. 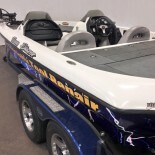 Searching for the absolute best way to communicate his message, he contacted Pixus Digital Printing with a creative and innovative idea to wrap his 20 foot Skeeter bass boat, much like the vehicle and fleet wraps done by Pixus each week. 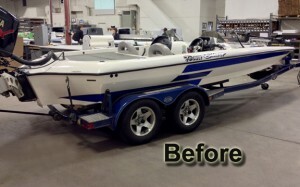 Adhesive boat & vehicle wraps are applied using premium 3M vinyls and guaranteed to endure harsh weather conditions as you promote and brand your business. 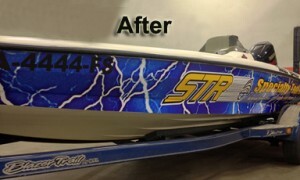 Making the best use of company vehicles with vinyl wraps on cars, truck, or boats are surprisingly affordable, durable and long lasting. 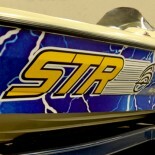 Creative designs boasting explosive colors and graphics are just one of the secret edges fisherman choose when digging deep into their bag of tricks. Special note to our readers: This is not just another fish story… well maybe. Pixus is responsible for content, views and opinions contained within this article.